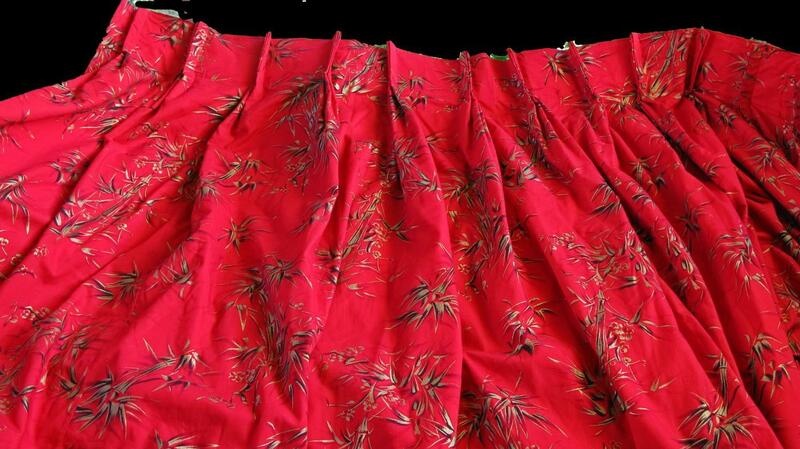 Asian inspired Gilded Bamboo Red Cotton Fabric Curtain Panel. Gold Gild Bamboo on Red Asian inspired curtain panel. The bamboo looks like it is painted on with some black shadowing. 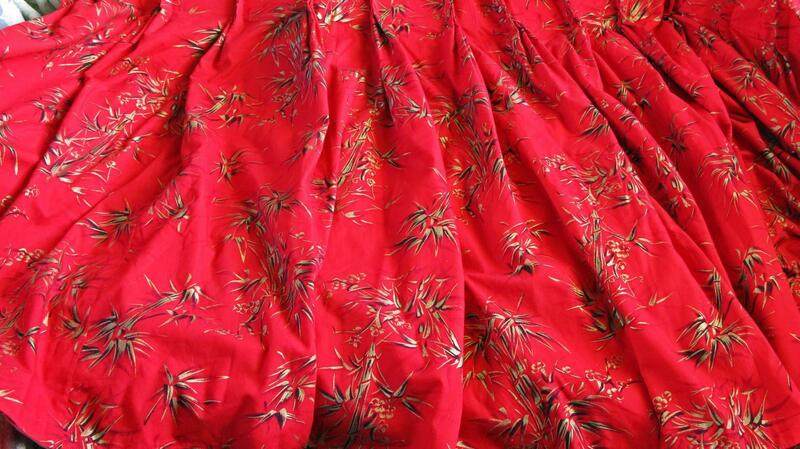 The medium weight fabric is lovely and in excellent condition. The curtains are not very long but it is wide. 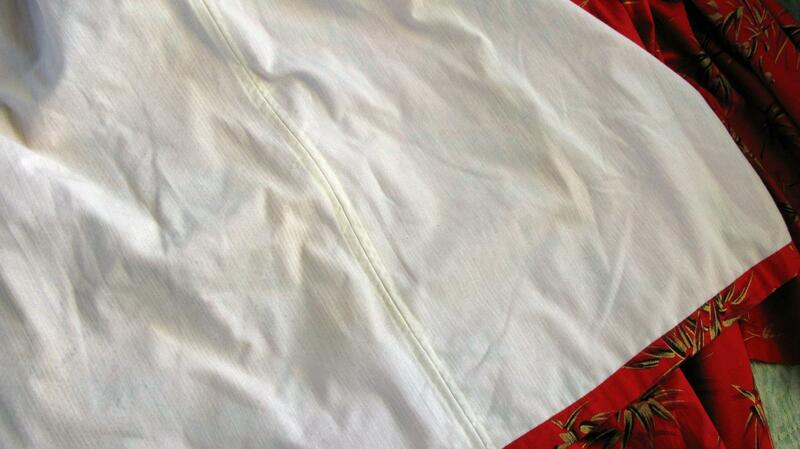 ( 53 inchs wide on the bottom and 34" long) The is pleated the rest is hemmed on all sides. and lined. The gold is metallic. Great fabric to make into something else if you can't use them as curtains. 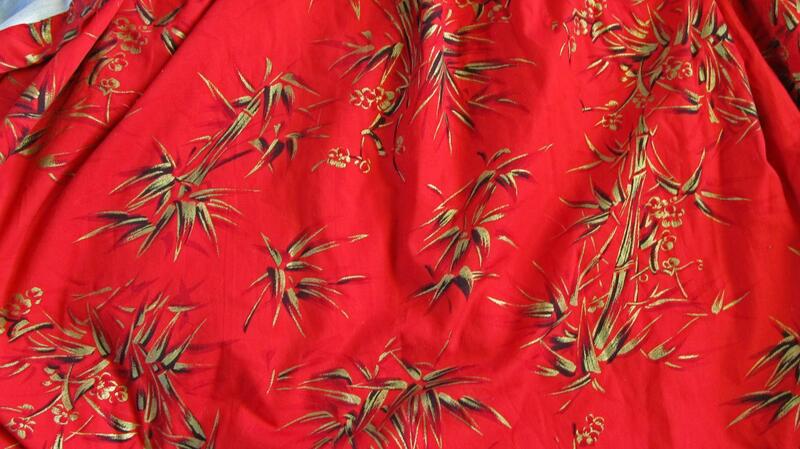 The fabric is suitable for making garment.